The International Harm Reduction Development Program (IHRD) of the Open Society Institute works to reduce HIV and other harms related to injecting drug use, and to press for policies that reduce stigmatization of illicit drug users and protect their human rights. 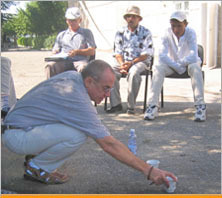 IHRD, which has supported more than 200 programs in Central and Eastern Europe, the former Soviet Union, and Asia, bases its activities on the philosophy that people unable or unwilling to abstain from drug use can make positive changes to protect their health and that of their families and communities. Since 2001, IHRD has prioritized advocacy to expand availability of needle exchange, opiate substitution treatment, and treatment for HIV; to reform discriminatory policies and practices; and to increase the political participation of people who use drugs and those living with HIV.the nation's leading organization working to end the 'war on drugs'. They envision new drug policies based on science, compassion, health and human rights and a just society in which the fears, prejudices and punitive prohibitions of today are no more. Drug Policy Alliance is the nation's leading organization working to end the 'war on drugs'. They envision new drug policies based on science, compassion, health and human rights and a just society in which the fears, prejudices and punitive prohibitions of today are no more. Central Asian Survey is the only established peer reviewed, multi-disciplinary journal in the world concerned with the history, politics, cultures, religions and economies of the Central Asian and Caucasian regions. These include primarily the republics of former Soviet Central Asia and the South and North Caucasus. Also covered are Chinese Xinjiang, Mongolia, Afghanistan, Iran and Turkey. The central aim of the journal is to reflect and promote advances in area-based scholarship in the social sciences and humanities and enhance understanding of processes of local and regional change that make Central Asia and the Caucasus an area of significant contemporary interest. Ethnography is an international, interdisciplinary forum for the ethnographic study of social and cultural change. The journal has become the leading network for dialogical exchanges between monadic ethnographers and those from all disciplines interested and involved in ethnography and society. For over 40 years, Substance Use & Misuse has provided a unique international multidisciplinary environment for the exchange of facts, theories, viewpoints, and unresolved issues concerning substance use, misuse (licit and illicit drugs, alcohol, nicotine, and caffeine), "abuse", and dependency, eating disorders, and gambling. Addiction, a peer-reviewed journal, publishes top quality international research for a large and expanding readership. It offers a lively forum for debate with editorials, commentaries, interviews with leading figures in the field, and a comprehensive book review section. Addiction is a journal which explores the horizons. Drug and Alcohol Review is an international meeting ground for the views, expertise and experience of all those involved in the study of treatment of alcohol, tobacco and drug problems. Focusing on the pre-clinical, clinical, pharmacological, administrative, and social aspects of substance misuse, the American Journal of Drug and Alcohol Abuse provides an exchange of ideas between the various modalities involved in the study and treatment of drug abuse and alcoholism. Addiction Research & Theory is a cross-disciplinary journal examining the effects of context on the use and misuse of substances, and on the nature of intoxications of all kinds. It aims to provide an outlet for the growing body of theory and related research which sees the nature of "addicted" behavior of all types as arising from the social context within which it takes place, rather than as an inevitable manifestation of biological mechanisms or pharmacology. It publishes research which is primarily psychological and social in origin, though these terms are used in a very broad sense. Contributions are welcomed from the disciplines of anthropology, economics, sociology, social- psychology, social and economic history, and any other area illustrating the relationship between context and the variable nature of those behaviors described as "addicted". The range will include the substance-based addictions, but will also cover problems not involving psychoactive agents, such as gambling, sexual behavior and eating disorders. Australian Social Work is an international peer-reviewed journal reflecting current thinking and trends in Social Work. The Journal promotes the development of practice, policy and education, and publishes original research, theoretical papers and critical reviews that build on existing knowledge. The journal also publishes reviews of relevant professional literature, commentary and analysis of social policies and encourages debate in the form of reader commentary on articles. AIDS: The Official Journal of the International AIDS Society publishes the very latest ground breaking research on HIV and AIDS. Read by top clinicians and researchers, "AIDS" has the highest impact of all AIDS-related journals. Published quarterly for the Society for the Study of Social Problems, Social Problems tackles the most difficult of contemporary society's issues and brings to the fore influential sociological findings and theories enabling readers to gain a better understanding of the complex social environment. Areas covered by the journal include: conflict and social action; crime and juvenile delinquency; drinking, drugs, and addiction; health policy and services; race and ethnicity; and sexual behavior and politics. One of the most respected and widely read professional journals in today's social sciences, Social Problems presents accessible, relevant, and innovative articles that maintain critical perspectives of the highest quality. The initiative provides extensive information about HIV/AIDS, including resources, publications, and useful links. This page provides basic information on the harm reduction and links to key documents. Provides Russian individuals and organizations with the tools they need to fight HIV/AIDS and STDs and to promote human rights in the health system. AFEW is an international, humanitarian, public health NGO that seeks to contribute to the reduction of the impact of HIV/AIDS in the former Soviet Union. The aim of organization - to promote the philosophy and practice of harm reduction in Victoria and Australia, regionally and globally, through research, training, program development and advocacy. About the center, projects, publications. The Canadian Harm Reduction Network is the meeting place for individuals and organizations across Canada dedicated to reducing the social, health and economic harms associated with drugs and drug policies. About the network, news, articles, links, discussion board. HRTI is the first national (USA) training center focused exclusively on harm reduction. Its staff and consultants are skilled trainers with extensive experience in the field. Information about the Institute. This site provides news and information about the Global Fund to Fight AIDS Tuberculosis and Malaria. This site provides news and information about the international campaign for greater access to essential medicine including antiretroviral therapy.